Where to stay in Krakow ? Find the best area to stay in Krakow to visit Poland’s second largest city, city of art and history. Since you probably don’t know much about the Lesser Poland Voivodeship, here is a selection of the city’s neighbourhoods to help you decide where to stay in Krakow. The second Polish city is divided into 18 administrative districts, but most of the things to do or see are situated in three neighbourhoods of the city centre and its surrounding districts. Where to stay in Krakow? Since your choice will depend on your desires, and whether you prefer to stay in a calm, relaxing, party-driven, or shopping-friendly atmosphere, here is a brief presentation of the city’s neighbourhoods : Staré Miasto (old town), Kazimierz (old Jewish city), Podgorze (new student town) and the outskirts (Nowa Huta, Klepartz, Piasek, Nowy Siat). The historic centre of Krakow, Stare Miasto is perched on Wawel Hill. It houses many historic monuments and age-old architectural wonders – whether Renaissance, Baroque, or Gothic -, and is home to more than 2 million works of art. It doesn’t take long to figure out why Polish tour guides call this district “Florence of the North”. An ideal area to find accommodation in Krakow, the district is bordered by Planty Park, a green belt encircling the old town and established in the 19th century by the Habsburgs of the Austro-Hungarian Empire on the site of the city’s old ramparts. Accessible all day without interruption, this green space allow for pleasant, peaceful, or romantic walks in the heart of Krakow. This chequered area houses all the must-sees of the city: the Market Square (Rynek), the Basilica of St. Mary (Kosciol Mariacki), the former Cloth Hall (Sukiennice) with its cafes, boutiques, and fine art museum, as well as the Wawel Royal Castle. This very touristy district concentrates the majority of bars, cafes, and restaurants of the city. Pedestrian streets can be noisy: in Krakow, bars close their doors only after the last customer has left, so paved streets can remain busy until 3 or 4 o’clock in the morning. An amazing and rewarding place to stay in Krakow if you want to go shopping, indulge in the excitement of the nightlife, and embark on a cultural pilgrimage through the corridors of Time. During the Second World War, the Nazis exterminated 90% of Krakow’s Jewish population, who mostly perished in Auschwitz. Kazimierz, located on the edge of the Vistula, was exclusively populated by Jews from the 16th century to 1940. It houses the highest number of synagogues in Europe after Prague. A victim of anti-semitic persecution and intolerance, the neighbourhood became the macabre theatre of several Jewish ghettos during the darkest years of its history. Ignored by the general public for half a century during the Soviet era, the district was rehabilitated by the film “The list of Schindler”, shot in the neighbourhood and released in 1993. 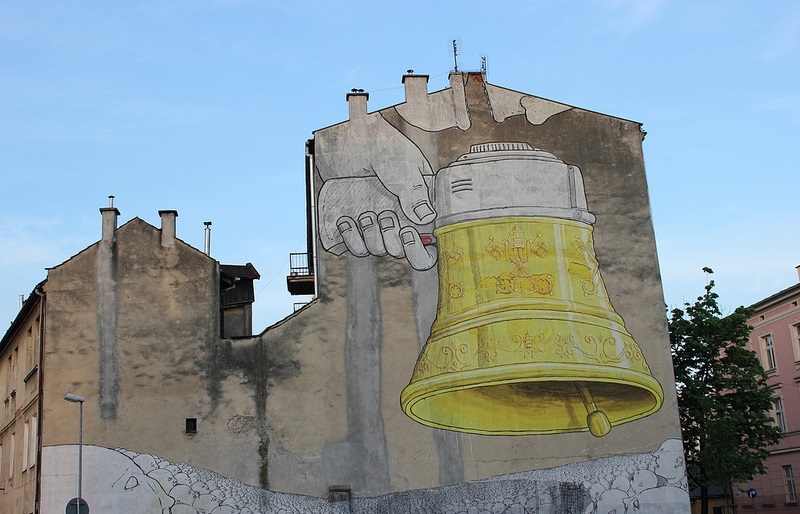 A place of memory of the atrocities committed against the Jews, it is today much appreciated by artists despite the area’s ongoing gentrification. 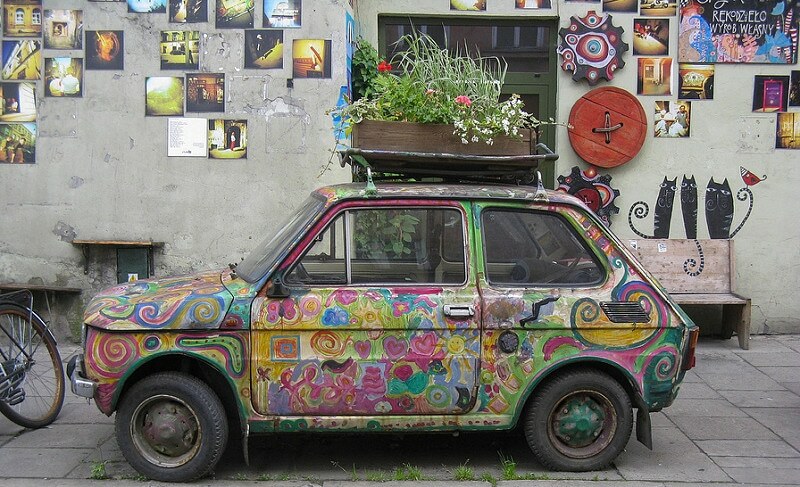 Kazimierz is the second most touristic district of Krakow. If you’re fond of history, and places to go out – bars, cafes, restaurants – this neighbourhood is definitely the place to stay in Krakow. Centrally-located, it’s a great area to simply enjoy Polish life while listening to the minor notes of a crying gypsy violin, a Klezmer band, or some jazz, rock, or electronic music. Book now your hostel or your accomodation in Kazimierz: many Poles are renting out their apartments, and prices are affordable! Located on the southern banks of the Vistula River, the Podgorze district was initially centred around its fishing activity. This area is where the old Krakow ghetto was established during the Nazi occupation. This southern fringe of Krakow’s city centre concentrates much of the city’s student life. Though the neighbourhood might seem less attractive than in the old town, it has the advantage of offering cheaper rents, resulting in a large influx of students and artists, who choose to reside here. While its profusion of cafes, bars, and jazz clubs contribute to the neighbourhood’s bustling social life, the area is ideal for romantic walks along the Wisla River and is home to interesting museums: The Oskar Schindler Factory Museum, Mocak, a museum of contemporary art, and Cricoteka, created by the director Tadeusz Kantor. A working-class district, Podgorze is not as bourgeois as the old town and can therefore seem a little duller, darker, perhaps less fun to stay in. And yet it offers a different, historical, and authentic atmosphere. Finally, you’ll find other neighbourhoods in the city. Though less attractive, they are nevertheless interesting places to stop by. The birth city of Pope John Paul II, Nowa Huta was built in the 1950s by and for communist workers. Today, the former city is a district of Krakow. It reflects what life could have been like during the Cold War, under the Soviet economy, a churchless city for metallurgical activity, in the middle of which stands a gigantic statue of Lenin: the communist city par excellence. Before the transition to the capitalist market economy, many streets were named after emblematic figures of the socialist ideology – Lenin, Marx – or those of the Cuban Revolution – like Che Guevara or Fidel Castro. Since the fall of the Berlin Wall, a deeply anti-communist sentiment has followed, leading the neighbourhood to becoming the opposite: bourgeois. Nowa Huta provides visitors with a glimpse of Poland’s socialist past: the area is like an open-air museum featuring typical Soviet urbanism – very wide squares and avenues, very large green spaces and collective buildings. 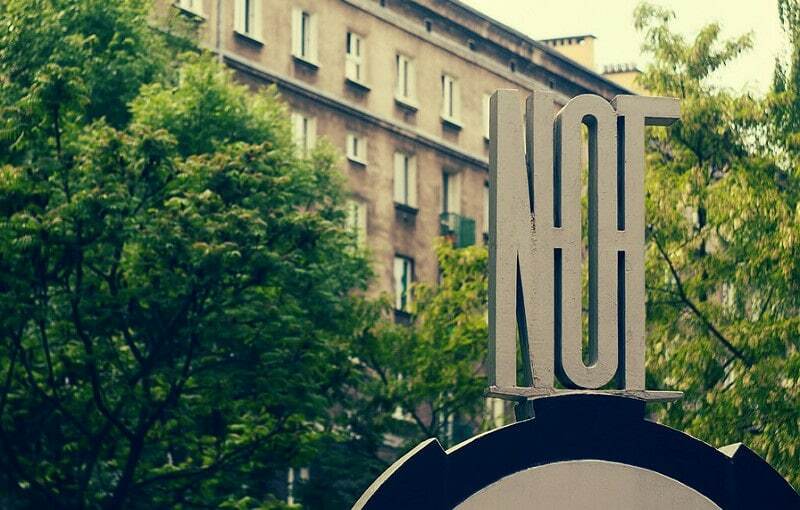 If you are still looking for a place to stay in Krakow, spend a night in Nowa Huta… but probably not two nights!